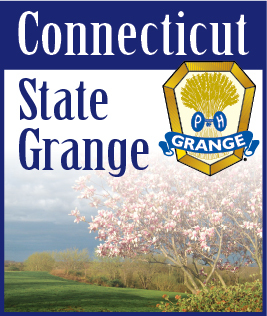 APRIL 2008 -- “The Grange is my priority. The members of my Grange are like one big happy family, always helping one another. We work together, helping with programs, food for refreshments, community projects and entering all contests. No one knows the word ‘no’”. The above was received an Honorable Mention in our Essay Contest last year and was written by Lois Evankow of Lyme Grange. We all need to work together for the good of the order, leaving our differences at home when we go to a Grange meeting. Let’s all work for the Good of The Order. The flowers are beginning to poke their noses out of the ground adding some color to our lives. Let’s all spring into action and add a little color to our Grange. Start planning ahead for all our Lecturers Contests. Start planning your summer with a trip to the great State of Maine for Lecturers Conference. The Grange has so much to offer all of us, but in return we must give back. The Lecturers contests are a great way to do this. Take pictures, write essays, offer to assist your Lecturer with a program. How long has your Subordinate or Pomona Lecturer been in office? After a while it becomes harder and harder to come up with new ideas. Maybe you don’t want to be a Lecturer yourself, but if everyone helped once in a while it would make a big difference. All our projects, whether it be CWA, Youth, Legislative, or Lecturers Programs are aimed at making the Grange attractive to all its members. Take advantage of these programs and enter or promote the programs whenever you can. Got any good ideas? Let me know. I am always looking for new, fresh ideas. See you around the State.